An RSS feed (or news feed) is a means by which you can stay informed about what's going on at Canberra Qwire without having to regularly visit the website. 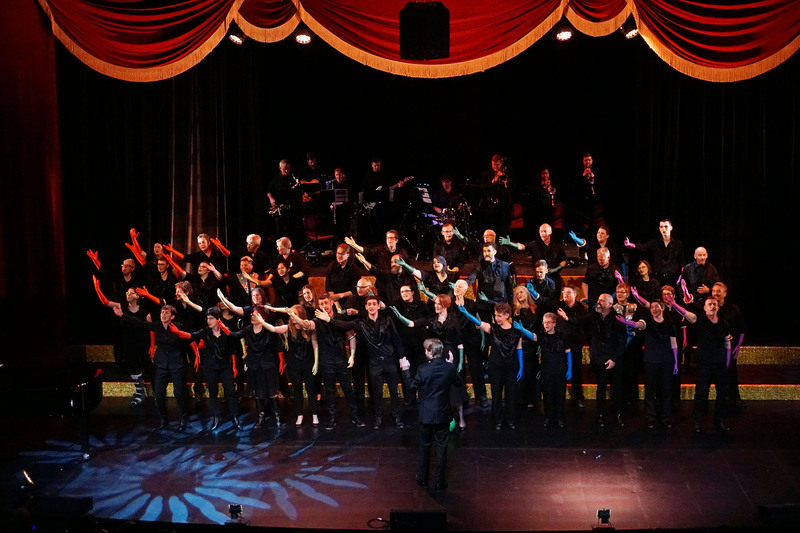 Qwire is experienced performing for a variety of events and audiences and our repertoire covers all genres from Gospel to Rock, Pop to Classical and everything in between. Qwire can provide entertainment for your next event using our full Qwire or a smaller ensemble; we can adapt to suit your needs. Qwire is a not-for-profit community organisation and all funding assists us to keep Qwire alive and vibrant. Canberra Gay and Lesbian Qwire is delighted to be hosting the 2019 Out & Loud festival from 24-28 October. The Out & Loud choral festival celebrates pride in our LGBTIQ+ community through music. The festival is the only occasion when Australian and New Zealand choirs meet at one event to share the joy of singing, socialising, drawing inspiration and learning from each other. Donate here to support the festival. We have a large number of people who love to know what is happening in Qwire, but who don’t sing. If you would like to subscribe to our mailing list and receive regular issues of Qwire Notes (our newsletter) send an email to enquiries@Canberraqwire.org.au requesting to be added to the Friends of Qwire mailing list. As a friend of Qwire, you also receive the opportunity to purchase our concert tickets before pubic release so you can get the best seat in the house. Canberra Qwire is committed to protecting your personal data and will use any personal or sensitive data we collect from you. In Europe, this is in line with the General Data Protection Regulations (GDPR). Canberra Qwire collects data from individuals to help us plan, organise and run the day-to-day operations of the group (e.g. co-ordinating rehearsals or collecting subscription payments) and to promote and market the group’s activities (e.g. marketing mailing lists and photography/video capture). This data will be used by our admin team to manage your membership with Canberra Qwire and to organise and run our activities. When you sign-up to our marketing mailing list we will ask for your email address and will use this data to send you information about our events and activities (e.g. upcoming events, latest news, etc). We will only send you information that is related to Canberra Qwire. (i.e. we will not use your data to send you marketing messages from 3rd parties). If you purchase an event ticket, or Canberra Qwire merchandise, or make a donation, we need to collect data on the person making the purchase. This data will only be used for administering your booking/purchase/donation, and will not be used to send you marketing/promotional messages from the group. The Canberra Qwire data retention policy is to review all data held on individuals at least every two years and remove data where we no longer have a legitimate reason to keep it. All requests related to your rights should be made through our Contact page. We will respond within one month.